Whilst eating and people watching as we do, we see some familiar faces across the room. You know when you have those moments when you have to double look? Yeah, this was that moment - we were so confused, and there they were, Jessica's best friend, Ashley and his girlfriend, Hannah! We had previous discussed them coming to Milan, but it was never secure and and the only person who knew was my sister. It was a double surprise. 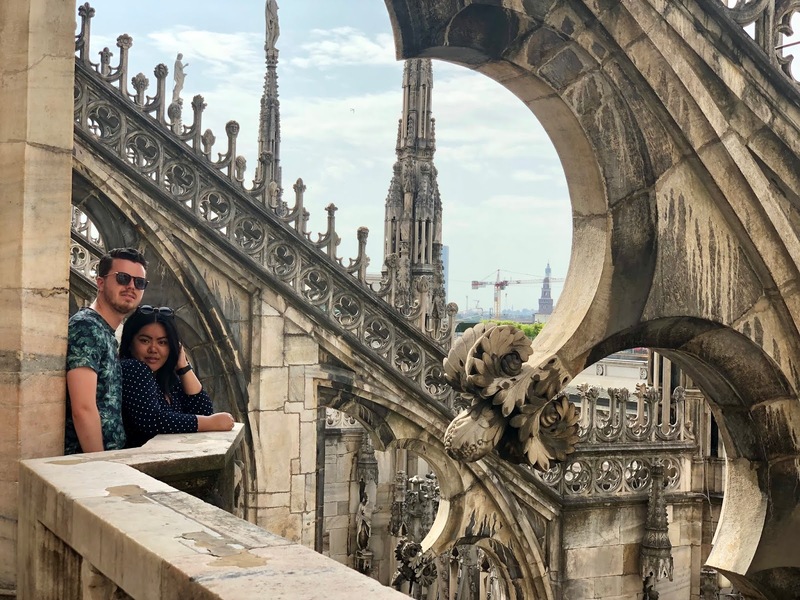 The afternoon was spent sipping on numerous Aperol Spritz's and we also booked ourselves to visit Milan's Duomo rooftop, and followed this by roaming the fancy shopping streets of one the biggest fashion cities in the world. The view from Duomo’s roof was worth climbing the 200 steps to get up there, with its thousands of spires and statues, each one a little different than the last. It’s an amazing sight from below, and even more interesting up close - the amount of detail in each spire and arch, each statue and gargoyle is just mind-blowing. 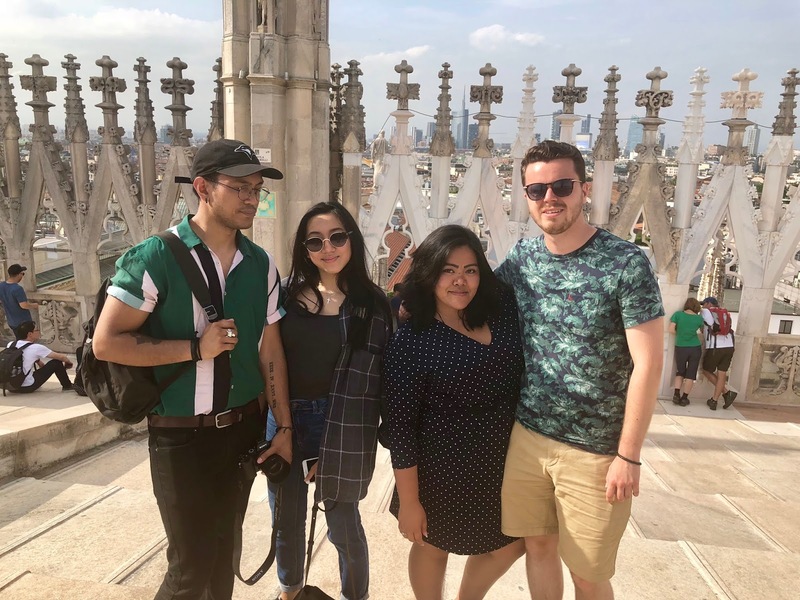 From the first floor, there are a few more stairs at the end that lead up to the very top of Milan’s Duomo, where the “Madonnina," a giant bronze statue of the Virgin Mary, can be seen on top of the highest spire as well as seeing the far ends of Milan. Having my sister and our friends there to share the special journey and views together made it much more special. 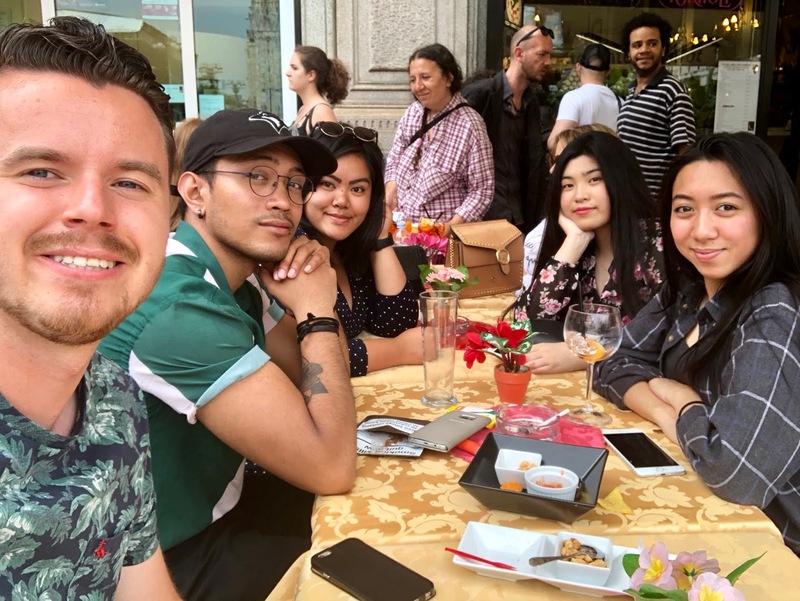 It was the best way to end our Italy Interrail journey, although this still isn't the end of our trip yet - we headed up North to Lake Como the next day. Best rooftop we've seen by far! Such a beautiful building, we wish we went inside now! Stunning photos! 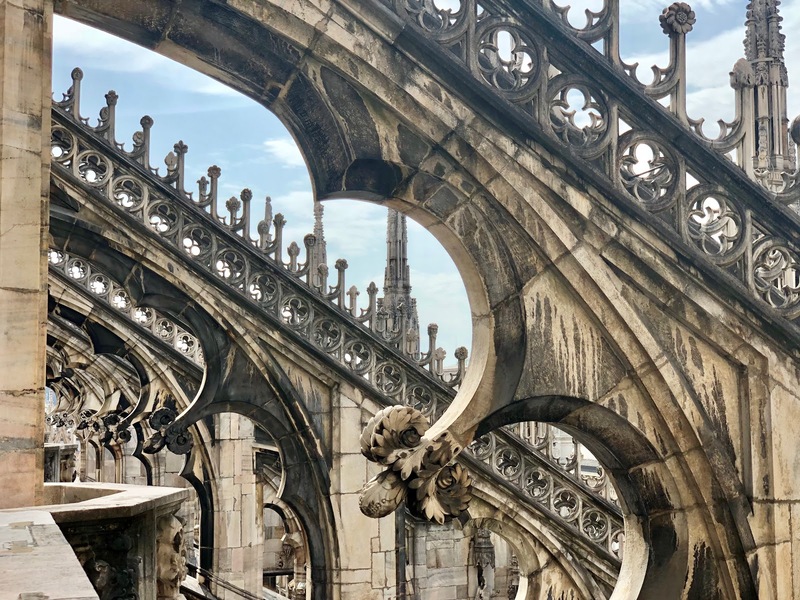 I'm in Milan in a couple of weeks so I'll definitely have to check out Duomo's roof, I love a good city view. Oh hope you have the best time! Wow, Milan is beautiful! It's been on my holiday list for a while now. You've taken some lovely photos. You should defo go soon, you'd love it so much! Please do, the rooftop is defo worth it! The most beautiful rooftop in Milan! They're such amazing people to come out and join us! 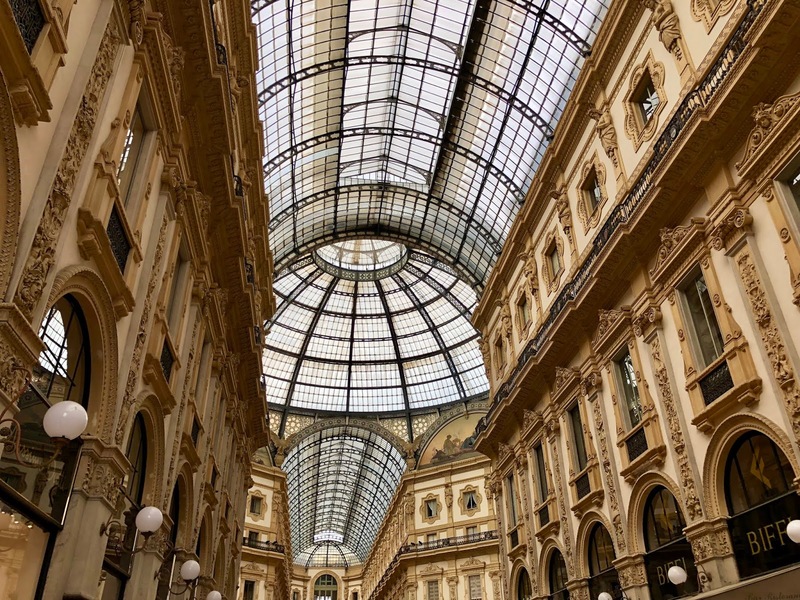 Wow, this imagery is beautiful, and Milan looks absolutely breathtaking! I've always wanted to visit Italy and this just makes me even more desperate to! Glad you had a great time! So breathtaking, we'd do it all again if we could!